Bel Air Florist and Gift Shop Inc. is excited to be celebrating our 25 year anniversary! We proudly serve Versailles, Midway, Lexington, Lawrenceburg and Frankfort with our award winning staff. Bel Air is a member of the Kentucky State Florist Association and is proud to have served on its board. We are locally owned ad operated by Lynn Pennington, KMF. Lynn and her staff are dedicated to serving their customers with service beyond your expectations. 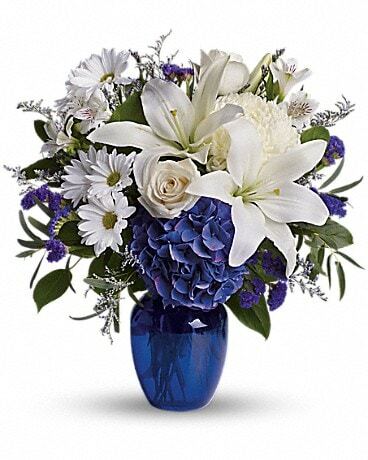 Thank you for choosing Bel Air Florist for all your floral and gift giving needs. It is our pleasure to serve you! *Our shop is open from 8:30 a.m. to 5:00 p.m., Monday through Friday and from 9:00 a.m. to 4:00 p.m. on Saturday. We are closed on Sundays. To help assure on-time delivery during the busy holiday season, place your order at least 1 day prior to the following major holidays: Thanksgiving Day, Christmas Day, New Year's Day, Valentine's Day, Easter, Administrative Professionals Week, Mother's Day, Memorial Day, Father's Day, Independence Day and Labor Day. Our shop will always be closed on the following holidays: Thanksgiving Day, Christmas Day, New Year's Day, Easter, Mother's Day, Father's Day, Independence Day and Labor Day. Bel-Air Florist offers flower delivery to the following areas in Kentucky: Midway, Versailles, Frankfort, Lawrenceburg and Lexington. If you have any questions or need more information, please call us directly at (859)873-3203. We're always here to serve you and make your flower-sending experience a pleasure. A local delivery fee of $7.95 will be added to each order, for each address. (For deliveries outside our local delivery area, this fee may vary.) U.S. orders must be received before 12:00 noon in the recipient's time zone to assure same-day delivery. Orders received after that time will be delivered the following day. We will do our best to accommodate deliveries at specific times of day, but we cannot guarantee it. We are unable to make deliveries on Sundays. Deliveries requested on this day will be delivered the following business day. Delivery to rural route addresses may have additional costs.br> We will be happy to accept your international orders if you call our shop directly. We are unable to accept international orders over the Internet.